/ All the Ice Cream You Can Eat? Yes! The Turkey Hill Experience is tasty! Disclosure: Our Turkey Hill Experience tickets were provided by the Discover Lancaster County Visitors Bureau. #DiscoverLancaster As always, thoughts and opinions are my own. Rocky Road, Peanut Butter Ripple, Butter Brickle, and Strawberry Cheesecake. Oh my! And those are only some of the delicious flavors of ice cream you can sample at the Turkey Hill Experience. Strawberry Cheesecake was my favorite! Try the butter brickle! Or if you are like my son you will just keep going back for samples of Rocky Road until you get a belly ache. Seriously. 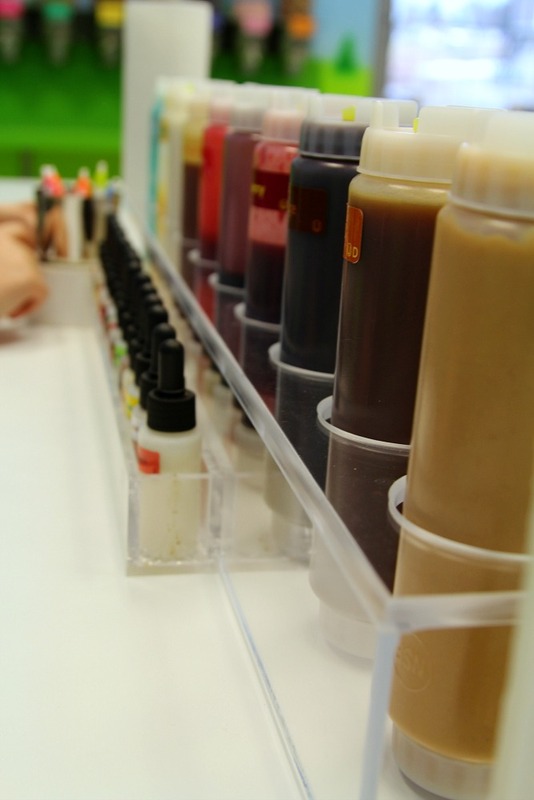 Take it easy on the unlimited samples of ice cream until after you experience the Taste Lab. I know it won’t be easy because the ice cream is soooo good but your belly will thank you later. What exactly is the Turkey Hill Experience? 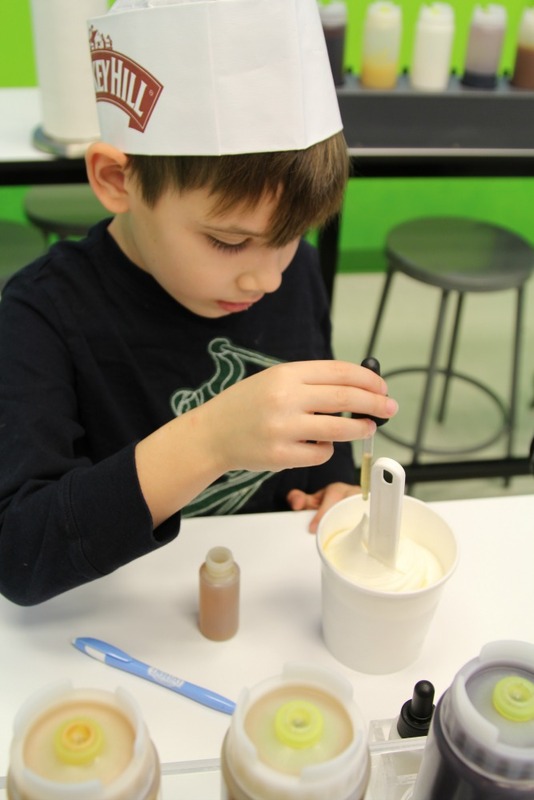 The Turkey Hill Experience is a museum of sorts with interactive exhibits where kids of all ages can learn how ice cream is made. 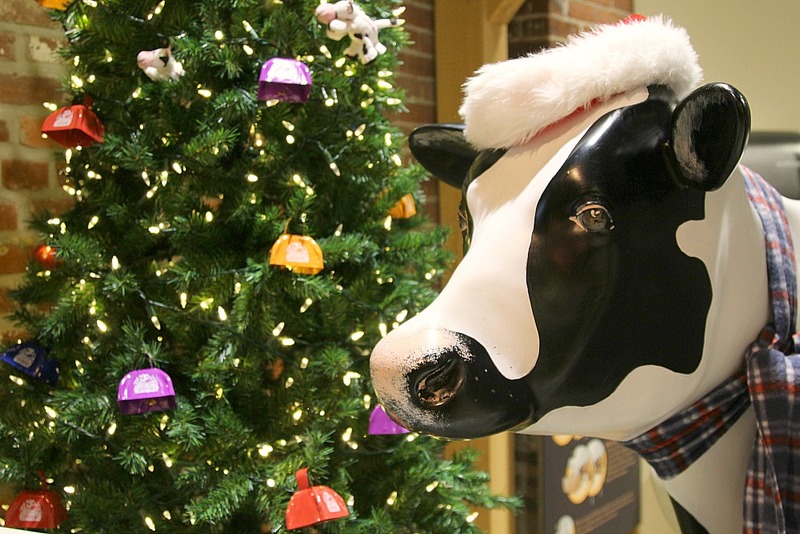 Visitors will experience the whole ice cream making process, from milking the cow to eating the ice cream. History lessons and interesting facts are sprinkled throughout the interactive hands on experiences. 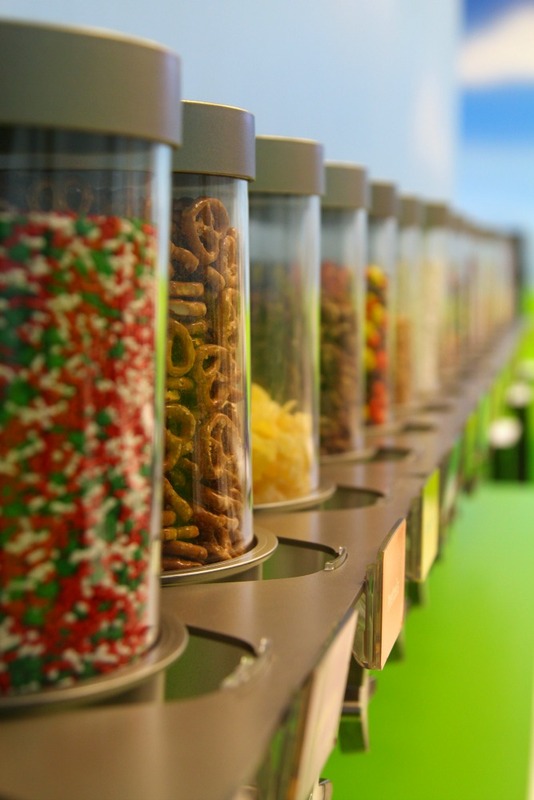 Insider Tip: The Taste Lab is well worth the extra fee. You get a big serving of ice cream to create you own flavor, so much in fact the lab technician will insist you start eating it right away. 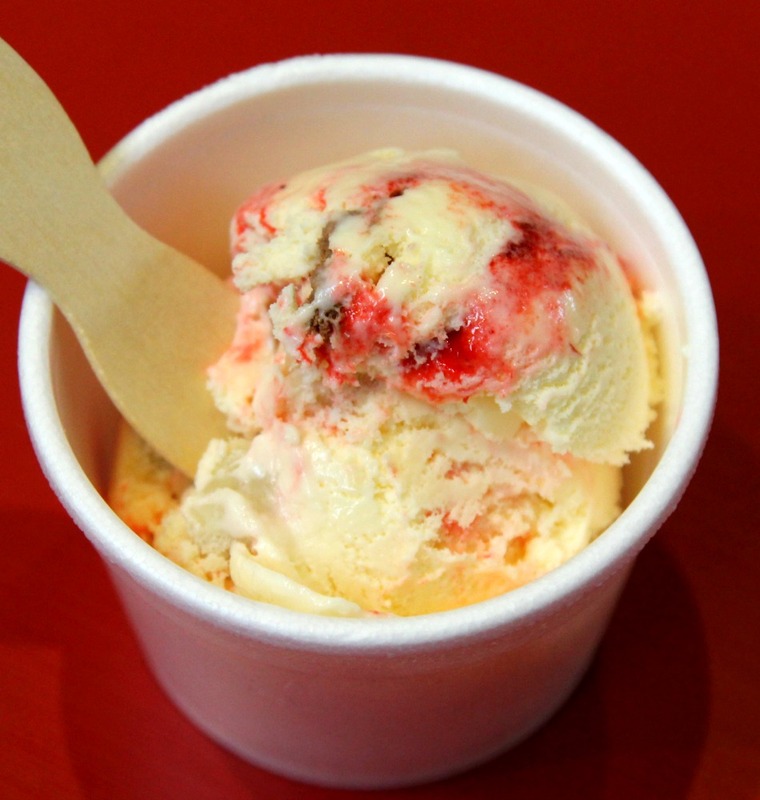 What could be better than making your own ice cream and eating it too! What Does it cost? When is it open? The Turkey Hill Experience is open all year round. It is a great place to visit in winter when the kids start bouncing of the walls because it is too cold to play outside. Check hours here. Admission rates range from $5 to $15 based on age group and whether or not you want to do the Taste Lab. (Did I mention you should definitely do the Taste Lab) You can always check rates and buy your tickets online before you go. Insider Tip: Seating for the Taste Lab is limited so reserving your spot online is a good way to ensure you will get the time you want. How long does the Turkey Hill Experience take? There are tons of activities so you want to make sure you have time to do them all. I would say 2-3 hours is a good amount of time especially if you are going to do the Taste Lab. We had plenty of time to see everything without feeling rushed. 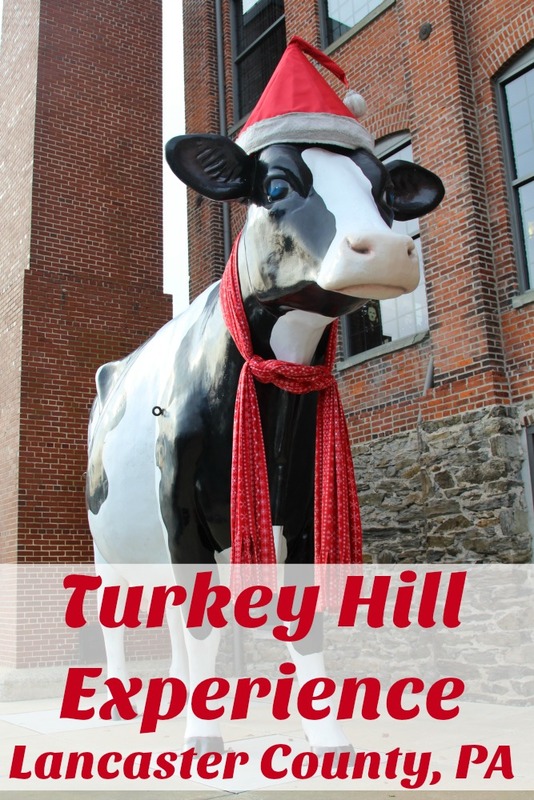 Where in Lancaster County is the Turkey Hill Experience located? The Turkey Hill Experience is just minutes from Lancaster County’s popular PA Dutch Country. It is built on the site of an old silk mill in the town of Columbia, Pennsylvania (about 20 minutes from Downtown Lancaster and 15 minutes from York, PA). It is less than 1/4 mile from the Columbia/Marietta exit of Route 30. We did not have any trouble finding it. There was plenty of free parking. If you are traveling through Pennsylvania or lucky enough to live in the Keystone State, make sure you find the time to visit the Turkey Hill Experience. Parents will enjoy the experience just as much as the kids and your taste buds will thank you! What a fun experience! Can’t wait to visit it soon.